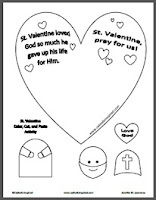 I this simple craft for younger kids, but also meaningful for older kids. 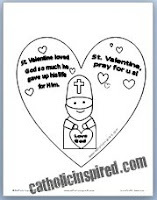 I recommend printing it on stock paper, but regular paper will work fine. 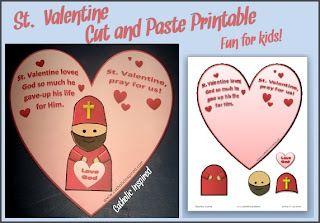 I just scheduled a playdate with our Moms & Kids group at our Parish, and we're making your printable as part of the playdate. I can't wait to make it, and will share with you how it goes! Thank you! 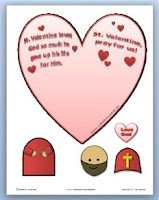 I will love making this heart to remind us all what St. Valentine's Day is really about.